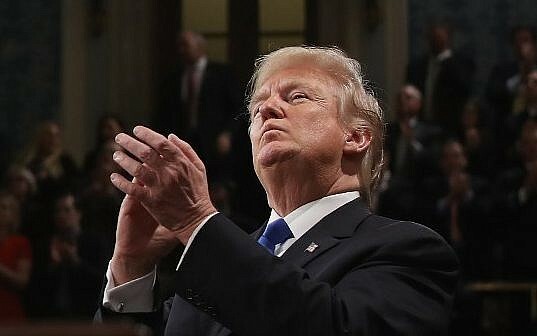 US Jewish organizations on Tuesday offered mixed reactions to US President Donald Trump’s State of the Union address, with many praising him over his recognition of Jerusalem as Israel’s capital and for underlining the danger posed by Iran, while criticizing his stance on immigration, tax cuts, healthcare, and religious liberties. “Israel is the only country in the world whose choice of a capital is not internationally recognized. We commend this administration for its unequivocal support of Jerusalem and for reviving the US-Israel relationship,” it said, referring to the US president’s December 6 declaration. 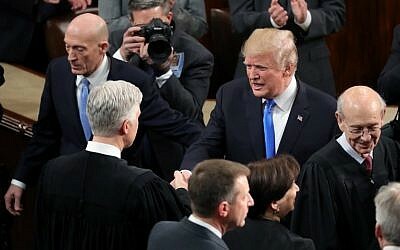 His remark came as 700,000 immigrants brought to the United States illegally as children, the so-called “Dreamers,” risk losing their protected status while the White House and Congress square off over their fate. 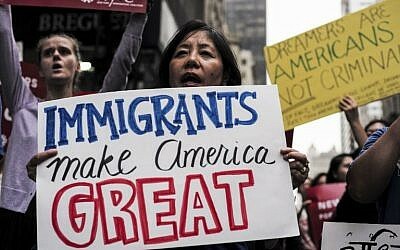 But other Jewish groups expressed strong criticism of Trump’s rhetoric around the need for immigration reform, including the US president’s equation of immigrants with criminals and economic tension and call on a packed joint session of Congress to enact hardline restrictions. Trump lamented that for decades, “open borders” had allowed “drugs and gangs to pour into” the United States, and again called for the construction of a border wall that remains unfunded in Congress. The Anti-Defamation League (ADL) expressed similar sentiments. Meanwhile, some American Jewish organizations voiced support for Trump’s reiteration of his tough stance on Iran and opposition to the 2015 nuclear deal signed between Tehran and world powers.